Skin Medica is a company that produces a line of skin care products that are deeply rooted in dermatological science. Their products leverage the natural healing properties of your skin to produce enhanced radiance and evenness of your skin. They have a reputation for delivering results in every type of skin that is remarkable using innovative techniques and products. With a company culture of empathy and curiosity they strive to expand the realm of possibilities for skin care. SkinMedica® uses scientifically proven ingredients to formulate advanced skin care products. Our patients’ results speak for themselves. SkinMedica was founded more than a decade ago by dermatologist Dr. Richard Fitzpatrick, who wanted to make sure his patients had access to the best possible ingredients and formulations. SkinMedica offers a complete line of extremely high-quality skin care products that utilize proven skin rejuvenators such as vitamins E and C, retinol, tea tree oil and salicylic acid. Achieve healthier, more youthful-looking skin with the help of Skin Medica’s superior formulations. Excessive exposure to the sun along with the components of air pollution can lead to skin damage and advanced signs of aging. 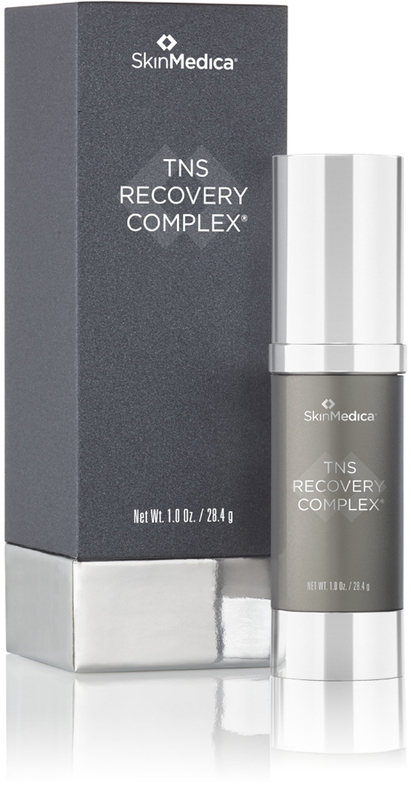 …Skin Medica TNS Recovery Complex is the first skin care product ever offered that contains Tissue Nutrient Solution, a patented cocktail of naturally occuring proteins, aminos acids, and antioxidants your body uses to help your skin recover from procedures such as Pearl Fractional Fusion or Infini RF. Skin Medica’s TNS Recovery Complex System has received Allure Editor’s choice award and was mentioned in Oprah as an alternative to plastic surgery. What types of skin will get the most benefit from the SkinMedica line of products? 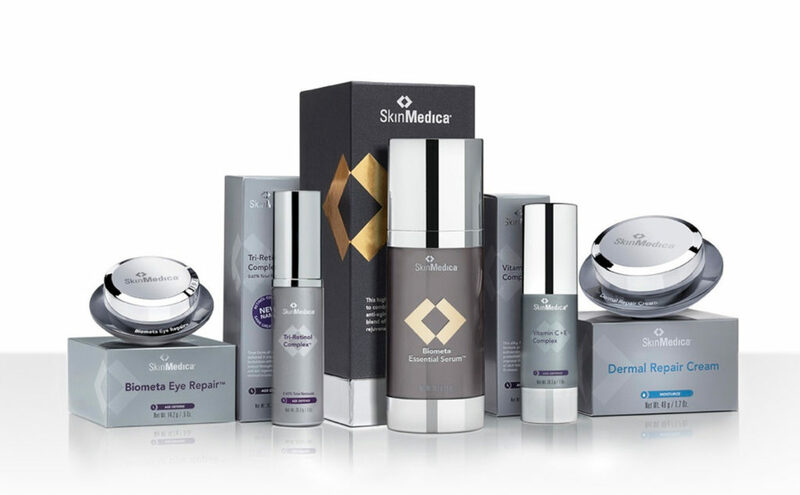 SkinMedica products are intended to be used on any type of skin and the majority of skin conditions, including post-procedure and sensitive skin. It is best to consult with your physician regarding which of these products will be best for your skin concerns. These common signs of aging are a result of degeneration in the infrastructure of the skin’s proteins. A reduction in collagen and stored antioxidants often result from this degeneration, resulting in wrinkles. Wrinkles can also be a result of the skin creasing over time from repeated use. Where do age spots come from? What are colloquially referred to as ‘age spots’ are actually the result of sun exposure. More correctly referred to as solar lentigines or sun spots these blemishes appear on those parts of the body that receive direct sun on a regular basis. The regular exposure to the sun reduces in production of additional melanin in the neck, forearms, hands, face, and chest. What does the term ‘photodamage’ mean? “Photo” means light, referring to the photons from which light is made. Exposure to ultraviolet light is harmful to the skin and creates damage when overexposure is experienced. This damage can include sunburn or more chronic damage resulting from ongoing exposure. Can I use SkinMedica if I have Rosacea? As Rosacea is a medical condition it is best to speak to your physician about whether or not this treatment will be appropriate for your case. Can I safely use SkinMedica products if I am pregnant? No testing has been done on women who are nursing or pregnant. Consultation with your physician is appropriate before using any product while pregnant or nursing. Does SkinMedica do any animal testing? SkinMedica has a commitment to responsible production of its products, and therefor does not condone, commission, pay, or otherwise allow the use of animal testing on its products or the components used to make them. There are SkinMedica® products that are formulated to be used on all skin types and most skin conditions including sensitive and post-procedure skin. We recommend you always ask your physician which products and regimen will best address your skin type and concerns. What role does my physician play in my skin care regimen? Just as your physician plays an important role in your overall health, he or she also plays a key role in helping you maintain healthy skin. With any skin care regimen it’s important to consult with your dermatologist or skin care specialist. He or she can analyze your skin care routine, tell you what’s working and determine what you can do to further enhance the health and beauty of your skin. What are the causes of wrinkles and age spots?